Burkesville, Ky. (October 13, 2016) – 60-year-old Daniel A. Blair, from Burkesville, was arrested today at 3:20 AM CST at 427 Veterans Alley in Burkesville and charged with Murder and Tampering with Physical Evidence. On Wednesday, Oct.12 at 9:22 PM CST, Post 15 was notified of a deceased male that had been located in his vehicle near Veterans Alley in Burkesville. KSP units arrived and found 38-year-old Michael Taylor, of Burkesville, dead with an apparent gunshot wound. The investigation revealed that Blair had been a passenger with Taylor earlier in the evening which later led to his arrest. An autopsy is scheduled for later today at the state medical examiners office. Blair was lodged in Adair County Regional Jail. Detective Kenneth Brown is investigating. 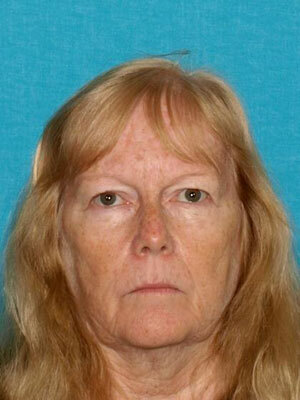 Investigators are asking for assistance in locating 61-year-old Pamela M. Blair. Blair is the wife of Daniel Blair. She is a 5’0″, 130 lb. white female with blonde hair and green eyes (see attached photo). An arrest warrant for Tampering with physical evidence has been issued for Blair in connection to this investigation. She may be traveling in a white 2009 Chevy Aveo with Kentucky registration plate 926-RVX and in the company of her daughter, 30-year-old Katie Cooper. Katie Cooper is a 5’3″, 115 lb. white female with blue eyes (see attached photo) and may also have her 1-year-old daughter with her. 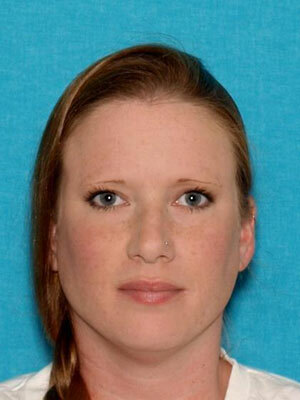 Anyone with any information regarding the location of Pamela M. Blair is asked to contact law enforcement by calling 911 or by calling the Kentucky State Police at 1-800-222-5555.